For our 2019 event we have secured a special lodging deal of $89 for all of our participants and attendees. 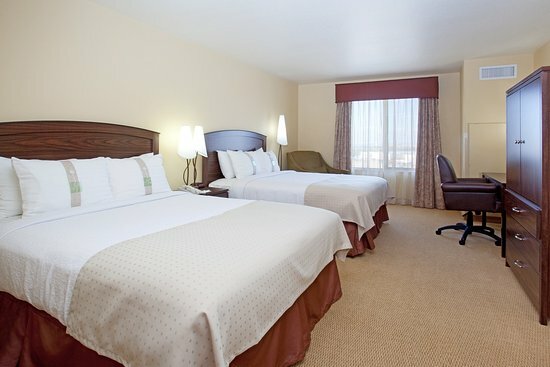 You will have your pick of either the Holiday Inn - Parker or the Hampton Inn & Suites - Parker. Please call your hotel of choice directly and reference the COLORADO MISS AMAZING rate, or the block code of CMA. Contact information is below. If you need an ADA room, please be sure to let the reservations desk know. Our 101 room hotel is the only full service hotel in Parker. The Holiday Inn is also our Day 1 event location! Amenities include our indoor pool, hot tub and fitness center, as well as a 24-hour business center. With everything from standard rooms to suites, we are sure to fit your needs! Enjoy a great meal at Trapper’s Chop House during your weekend stay at the Holiday Inn in Parker, located on the fourth floor, boasting ‘amazing’ panoramic views of the Rocky Mountains and the Denver metro area. They are open for breakfast and dinner. The Hampton Inn & Suites in Parker is an 84 room hotel that was recently renovated in the spring of 2018. With spacious standard rooms to our studio suites and accessible rooms, we have something for everyone to make their stay more comfortable. Our indoor pool, hot tub and fitness center and our delicious free hot breakfast are sure to guarantee your satisfaction or we don’t expect you to pay!